Uluru and Ayers Rock, Litchfield National Park or East Arnhem Land - the Northern Territory reveals the Northern Territory of Tourism. And the west of the country is also well represented: Tourism Western Australia brings you the benefits of Western Australia with Perth, Shark Bay, Outback u.v.m. closer. Beyond that, come to Queensland! The state in the northeast of Australia thrills with almost 7,000 km of coastline and presents you on the abf its advantages and destinations. Also present: New South Wales. Located in the southeast of the country, this state is best known for its coastal towns and national parks. Be inspired by the ABF! To explore the endless expanse of the country on your own and independently, many Australian travelers decide to spend a holiday with the caravan. On the partner country surface you will also find campers and caravans of Australian brands. 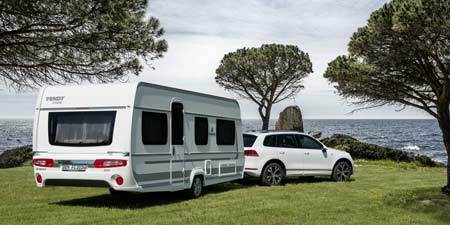 Tourism Holdings comes with the Maui Ultima Campervan, the JUCY Group presents the JUCY Trailblazer Campervan and Apollo Motorhome Holidays brings the Apollo 4WD Adventure Camper.